In this review, I’m going to be taking a look at Martin’s C1K and T1K ukuleles. These ukuleles are Martin’s most affordable all-solid koa models, but they’re still relatively expensive compared to the large assortment of beginner ukuleles on the market in recent years. Are they worth the extra money? Keep reading my C1K and T1K review to find out. The C1K and T1K are available on Amazon and through authorized Martin dealers. As the manager of a small acoustic shop that carries Martin products, I’ve had a chance to play several dozen C1K and T1K ukuleles. This review is based on my general impressions of these ukes. While Martin is mostly known for their acoustic guitars, the company has a rich history of building fine ukuleles. In fact, ukes were responsible for keeping the Martin company afloat during some of their more trying financial times. 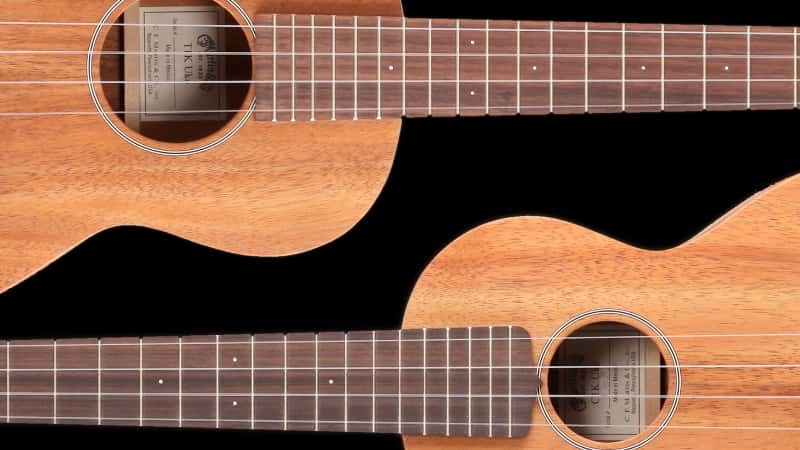 The C1K and T1K represent two of the most affordable ukes in the Martin lineup. Their simple, understated design helps keep the cost down, but top-notch craftsmanship provides a playing experience on par with ukes that cost two or three times as much. The C1K and T1K are identical except for their body size, which is why I’ve lumped them together in a single review. Both models currently sell for less than $550. Both models have solid koa bodies, which provides for a noticeably bigger, sweeter tone than less expensive ukes made out of laminated wood. Build quality, playability, and tone are superb, which is to be expected from a company that has been building ukes for over 100 years. While the price will be a bit on the high side for many folks, the C1K and T1K are great mid-level ukes and are ideal for intermediate players seeking an upgrade or beginners who want to give themselves a head start. The bottom line: If you’re looking to upgrade from your $100 beginner uke but aren’t quite ready to drop $1,000+ on a Kamaka, the C1K and T1K are tough to beat. The C1K and T1K are beautifully built ukuleles. Craftsmanship is tight and clean, attention to detail is excellent–these ukes have an overall feeling of quality that really comes through when you have a chance to see and play one. The 1K series are built in Martin’s Mexican factory, which is where they produce some of their more affordable guitars. I’ve played quite a few Mexican-built Martin instruments and feel that the craftsmanship of these products is nearly identical to their US-made instruments. Another way Martin keeps the cost down on the 1K ukes is by minimizing cosmetic appointments. The C1K and T1K have a satin finish, no binding, and a very basic fingerboard inlay pattern and rosette. By cutting back on unnecessary appointments, Martin is able to offer these ukes at a substantially lower price. As much as I can appreciate fancy features like ornate binding and elaborate inlays, I’m a big fan of the 1K series’ simple, understated design. A big selling point for the C1K and T1K are their solid koa bodies. Koa is a beautiful wood that only grows on Hawaii, and it has been used as a traditional ukulele tonewood for decades. Why does solid wood construction matter? 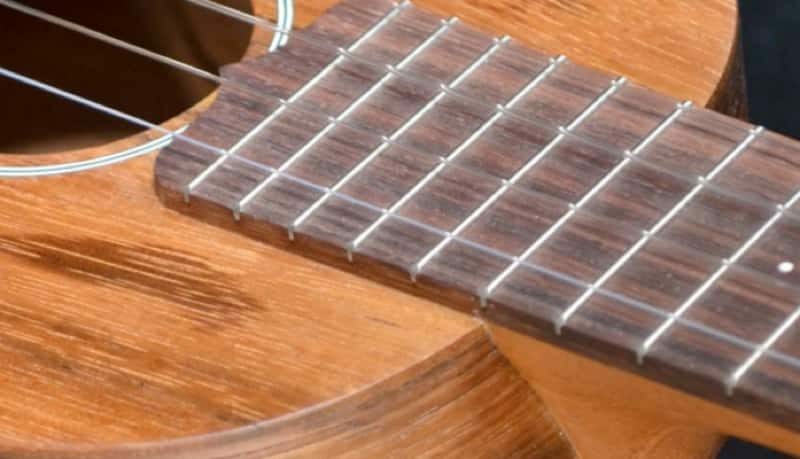 As a general rule, solid wood produces a warmer, richer tone than the laminated woods usually found in less expensive instruments (more on this below). The koa wood Martin uses on their 1K ukes isn’t quite as figured as what you might find on higher-end instruments, but it still looks and sounds great. The appearance of the koa can vary a lot, so if you buy online be prepared to get a uke that looks a bit different from any of the photos you’ve seen. As I touched on above, the all-solid koa construction helps give the C1K and T1K a big, warm, open tone. Every time I strum one of the 1K ukes in our shop I hear a resonance and complexity that just isn’t there with less expensive ukes. The C1K and T1K also have incredible volume and projection, making them ideal for vocal accompaniment or playing in small groups. My only complaint is about the factory-equipped Martin strings. The Martin-brand fluorocarbon strings aren’t terrible, but I’ve swapped them out for Aquilas in the past and felt it did a lot to improve the tone. The C1K and T1K come with open-back Grover tuners. These are good, high-quality tuners that provide smooth and accurate tuning. The included gig bag is decent quality, but it’s not super thick and won’t protect the uke from crushing damage or a hard impact. I wish Martin included a hard case with these ukes, but that probably would have pushed the price up another $75 to $100 so I can understand why they went with the gig bags. Considering the cost of these ukuleles, I’d highly recommend investing in an aftermarket hard case. While the C1K and T1K are arguably the best values in the Martin ukulele lineup, they do have a handful of other models that are worth a look. 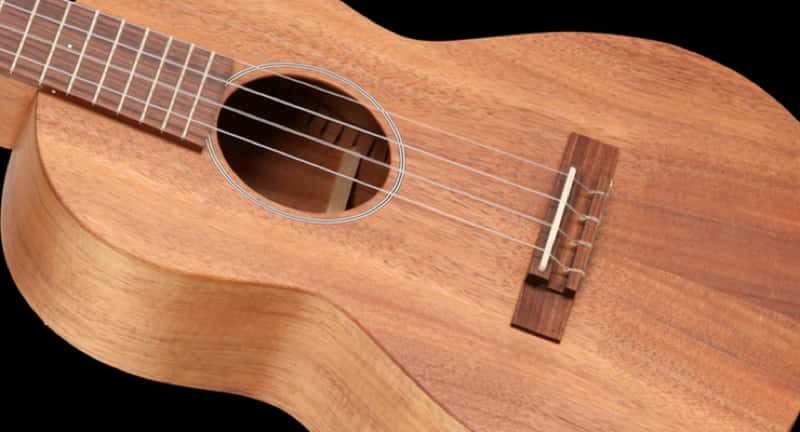 Martin’s S1 is their most affordable all solid wood soprano ukulele. Most of what I wrote above about the C1K and T1K applies to the S1, except that the S1 is built with mahogany instead of koa. Like the C1K and T1k, it’s a great all-solid ukulele for the money and one of the best professional-grade soprano ukes available for under $500. If price isn’t a factor, you should take a look at the 2K Concert and 2K Tenor. These gorgeous American-made ukuleles have a handful of high-end features that put them in a different class than the C1K and T1K. Whether or not these ukes are worth the extra money is a conversation for you and your wallet, but there’s no denying that they’re among the finest instruments on the market. Not Ready for a Martin? If you’re not quite ready to drop over $500 on a C1K or T1K, these beginner ukuleles are worth checking out. While they certainly won’t have the tone and craftsmanship of a Martin, they’re still excellent instruments and are just a fraction of the cost. If you want to learn more, I’ve written a whole article on the best ukuleles for beginners. Ukuleles are available in a wide range of price ranges. 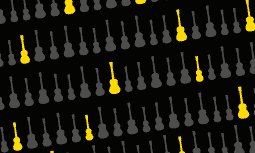 Learn how much a ukulele costs and what you can expect to get for your money.